The heels are completed—but I haven't yet begun to knitting in the round again. Nor have I gotten laundry done (today!) or started on the gloves, or done any sewing. But I've lost another pound and half in the past week—SO some progress has been made, somewhere. Today I am going shopping.. a new printer (I've been without for months! ), finally, too, a wireless router and for good measure, a paper shredder—some basic upgrades that have long been needed. The printer I am eying isn't just a printer—it's a color scanner and copier, too. Goodness knows, I have a back look of things I want to print out—and a second back log of copies to be made. I've never felt the need to have a scanner--but I suspect once I have one, I will find a use for it. And while I am doing this upgrade—I will also get my web cam connected—last time I tried, there was an I/O conflict—and my Internet connection failed. Needless to say the cam quickly got uninstalled! There are other details to work on too. Like (better) mounting the power strips, and finishing labeling all the cords—Life is so much easier with things labeled—starting with the circuit breaker, and down to the plugs. This is another place (knitting is one, too) where being a bit obsessive is an asset! The socks are beautiful, and the color is perfect. 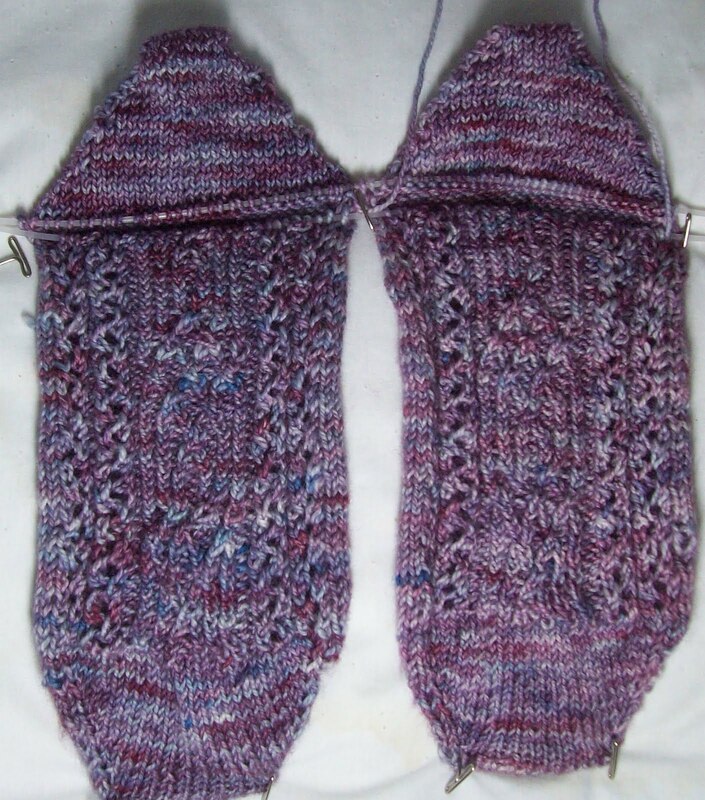 You are tempting me to knit toe up someday. Gratz on the weight loss but be sure to get plenty of protein to heal up. Gee that sounds like a pun. drat! I'm off to see the wizard who did my knee. I'm going to hug him! PS. You will love having a scanner.